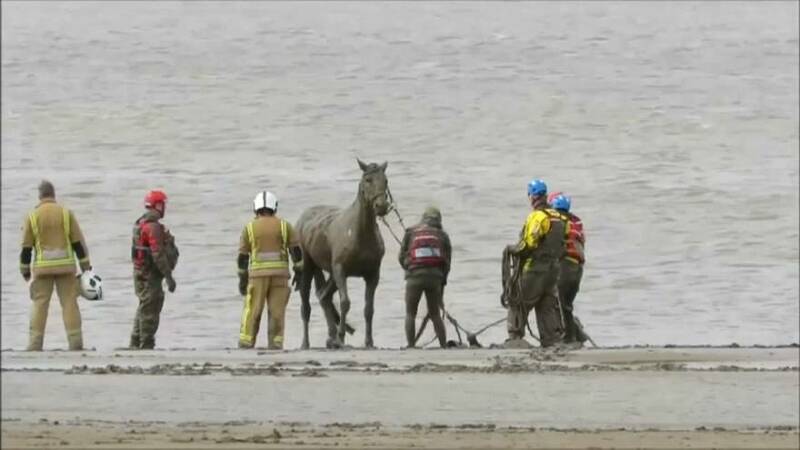 Video taken by BARB Search and Rescue, a charity search and rescue service, shows teams gathered on the beach pulling the trapped animal from the mud using rope and successfully recovering the horse. The operation took over two hours and a number of teams came to the horse's rescue, including firefighters and coast guard teams, BARB Search and Rescue said. According to local media reports the horse was safely recovered and reunited with its owners. Heavy rains unleashed a landslide in a remote mountain town in southwestern Colombia on Sunday (April 21st), killing at least 14 people and injuring five more.